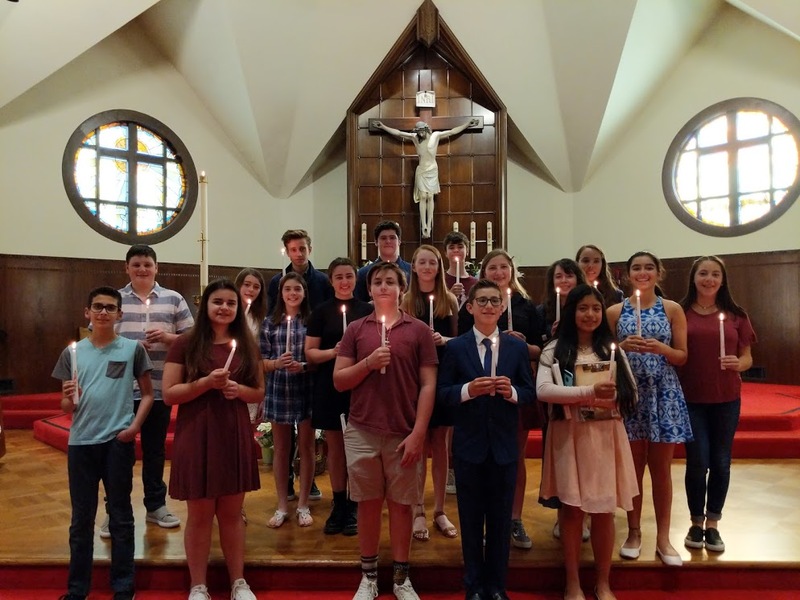 St. Anselm’s Confirmation Program is open to all young men and women who are in 8th grade or in High School. Classes are held on Sundays from 3:30 pm-4:50 pm at our parish hall/ followed by the 5 pm mass with peers/family. Attendance to both the class/mass are part of the program’s requirement. All youth are also required to attend their Confirmation retreat. All Candidates are required to complete 5 service hours. For the 2018-2019 is CLOSED. Check back in May for registration of 2019-2020. Parent Orientation Was held on Thursday, September 6th at 5:30pm in our parish hall. If you were not able to attend this orientation, I encourage you to watch the following video, click here. Any questions or concerns contact dre@saintanselm.org with “CONFIRMATION PROGRAM” in the subject line.